I’ve been busy doing some studies and practice in ‘Spiritual Phytoessencing’ which is all about blending essential oils which deal with disharmony in an individual’s soul. It might sound ethereal, however, it’s been quite demanding intellectually and so for the past two months my reading has had to be complementary to my studies, so I haven’t been reading any fiction. 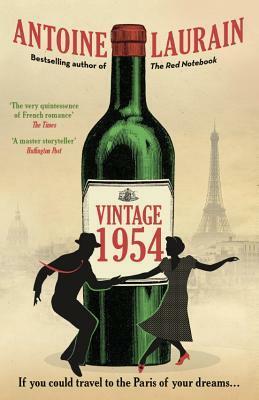 Yesterday however, I finally finished a novel I’d been wanting to get to for a while, escaping the current heat wave happening here in the south of France, with this book, its beautiful raindrops on the cover, so enticing. I loved Tracy Farr’s The Life and Loves of Lena Gaunt (review link) so I was looking forward to this, her next book. The Hope Fault for the most part, takes place over a long weekend as a small, extended family meet at the family beach house that has now been sold, as all their lives are moving on. They meet to pack everything up, to have one last party and to acknowledge their youngest member, the month old Baby that has yet to be given a name. The one family member that is missing is 99-year-old Rosa, days shy of her 100th birthday, she’s in a care facility, but remembered often throughout the weekend and among the various objects that are unearthed as they pack. The mid-section of the novel is given over to Rosa, in a unique, slow revealing way, it maps out snippets of her life from the present, through the past, snapshots that reveal the cracks, turning points and little known aspects of her life, that have unbeknownst to the group that now meets, had an impact on their lives. Although it is ostensibly a novel about families, there are poems and letters from a geologist, which I won’t reveal, as they are part of the mystery and intrigue of the novel, but they provide an interesting connection and create one aspect of the metaphor of the ‘hope fault’, natural occurrences that disrupt and reform landscapes, families and humanity. They also represent that aspect of the past, of our parents or grandparents lives that most of us don’t know about, things that happened before we were born, which may never have been spoken about or revealed, clues in the junk that gets thrown away, imprints often carried forward in our behaviours, the non-genetic aspects inherited within families, hidden within the stories never told, secrets never shared, loves never realised. Knowing that Tracy Farr has lived many years in NZ, I imagine she was in part inspired by the Nov 2016 earthquake in Kaikoura, NZ, a complex 7.8 earthquake of 21 faults (some previously unknown) that ruptured the landscape in various ways, raising the seabed by more than a metre. It is thought to be part of the evolution of the boundary between the Australian and Pacific plates, underlying planetary change that can remain dormant for years, then suddenly reform, disrupt, create anew. The fault is that unseen force that underlies what we think is a solid reality, it represents change, movement, transformation, as it has done so in the past, as it will do in the future, there for us to see in the present if we open our eyes and mind to it. For me, this is what this story is about, change, transformation, moving on, new generations replacing old, letting go, the awkwardness and disturbance of youth as they encounter parts of themselves they don’t understand, the various manifestations of middle life, how men and women deal with it, how it impacts families and of just making the best of it all, of not judging others for their flaws. In dealing with its faults, cracks and flaws, it’s actually a novel of quiet hope. P.S. One little intrigue this novel does reveal, which isn’t about the storyline per se, is the connection to the authors twitter account. I’d noticed a long time ago that Tracy Farr’s twitter handle is @hissingswan and wondered what that was a reference to. In reading this novel, at least one of the reasons for this reference is revealed! How Mister Willow came to Missus Maker, from Miss Fortune’s Faery Tales by Rosa Fortune. Read it to find out more. P.P.S. Thank you to Gallic Books for providing me with this ARC (Advance Reader Copy). I began seeing reviews about When I Hit You, Or, A Portrait of the Writer as a Young Wife late in 2017, most were stunned by this novel, obviously by the subject, a woman writing about the experience of domestic violence and abuse, herself a victim of it within marriage; but also the analysis of her response to what was happening. This was a highly educated, intelligent and articulate young woman writing. It nudged preconceived ideas about victims of domestic abuse. The reviews made me wish to read it, but the subject prevented me from picking it up sooner. And then it made the long list of the Women’s Prize for Fiction 2018. I relented. While it genuinely deserves to be on the list for its literary uniqueness and merit, it’s also relevant given we are in an era where the silencing, harassment and abuse of women is reaching a tipping point, in the West at least. The author now lives in London, however this story takes place in contemporary India, where she grew up. The statistics on domestic violence in India are appalling, violence by husbands against wives is widespread, nearly two in five* (37 %) married women have experienced some form of physical or sexual violence by their husband, and while the statistics vary according to the number of years of education men or women have acquired, 12% of married women with 12 or more years of education have experienced spousal violence, compared with 21 percent of married women whose husbands have 12 or more years of education. This is one aspect that surprises some Western readers, that highly educated women, married to highly educated men (the husband in this book is a university professor) while less likely to suffer, are not immune. No one is. The title is a reference to James Joyce’s Portrait of the Artist as a Young Man his debut novel about a young man growing up, (essentially, his alter-ego). In the same way we see the character of this novel traverse the early months of a new marriage, as a young wife. Meena Kandasamy has created an artwork, carefully sculpted, observed and understood from different angles, a work that endures over four months, like acts in a play, before the master stroke, a line she drew, that when her husband crossed, would signal to her the moment to leave. It is written by an unnamed narrator in a first person voice that moves from reflective to urgent, from a place of detached distance to a disturbing sense of present danger. The novel begins in the period after she has escaped her marriage, in recounting the things her mother says to people, it is five years since her daughter left the marriage and the story has mutated and transformed into something the mother can more easily digest as she narrates. So, when she begins to talk about the time that I ran away from my marriage because I was being routinely beaten and it had become unbearable and untenable for me to keep playing the good Indian wife, she does not talk about the monster who was my husband, she does not talk about the violence, she does not even talk about the actual chain of events that led to my running away. That is not the kind of story you will be getting out of my mother, because my mother is a teacher, and a teacher knows that there is no reason to state the obvious. As a teacher, she also knows that to state the obvious is , in fact, a sure sign of stupidity. When she tells the story of my escape, she talks of my feet. The way the story begins, hearing her mother’s voice with hindsight, introduces the subject with a dose of irony. It is a lead up to the author introducing herself as the writer that she is, and sharing the lessons she has acquired through this writing project. Much as I love my mother, authorship is a trait that I have come to take very seriously. It gets on my nerves when she steals the story of my life and builds her anecdotes around it. It’s plain plagiarism. It also takes a lot of balls to do something like that – she’s stealing from a writer’s life – how often is that sort of atrocity even allowed to happen? The number one lesson I have learnt as a writer: Don’t let people remove you from your own story. Be ruthless, even if it is your own mother. She continues with narrating the story, and seeing it as if she is playing a role in a drama. And in some ways, that is how I think of it: it is easier to imagine this life in which I’m trapped as a film; it is easier when I imagine myself as a character. It makes everything around me seem less frightening; my experiences at a remove. Less painful, less permanent. Here, long before I ever faced a camera, I became an actress. The husband, a Marxist who considered himself a revolutionary, a comrade, using communist intellectual ideas and his activities to elevate his self aggrandisement, detests the idea of his wife’s being a writer, an attitude that pushes her to want to antagonise him. The more he wishes to silence her, the stronger is her will to write, to imagine, to create, to express herself. But it’s not just about antagonizing him. There is a distasteful air of the outlaw that accompanies the idea of a writer in my husband’s mind. A self-centredness about writing that doesn’t fit with his image of a revolutionary. It has the one-word job description: defiance. I’ve never felt such a dangerous attraction towards anything else in my life. It is an incredible work of creativity, working through the post-trauma of domestic violence. Meena Kandasamy has taken charge of her story, she retells it in exactly the form(s) that she desires, and I am sure she will move on and create more great works of art, in literary form. This is not a work to shy away from, especially not now, in these times where women are being supported when they choose to express these narratives, in order to move on from the trauma, because no one wants these stories to define their lives or to be who they are. Healing might come slowly, but I hope it does indeed come, that people like Meena Kandasamy can share their version of resilience and acts of moving forward and on, for the sake of themselves and others like them, albeit never forgetting. I remind myself of the fundamental notion of what it means to be a writer. A writer is the one who controls the narrative. I have put myself in a dangerous situation with this marriage, but even in this complicated position, I’m finding plot points. This is the occupational hazard of being a writer-wife. Happiness opens with the tale of a wolf hunter in the US called in to track a wolf that is believed to have been killing sheep. He observes the surroundings, lies in wait, makes the kill, collects his bounty and then returns to lie in wait for the she-wolf he knows will come out after three days. Two species. Surviving. London. A fox makes its way across Waterloo Bridge. The distraction causes two pedestrians to collide—Jean, an American studying the habits of urban foxes, and Attila, a Ghanaian psychiatrist there to deliver a keynote speech. Attila has just been to the theatre, he has arrived a few days early to indulge his passion for theatre and to look up his niece Ama, whom the family hasn’t heard from recently, he will also see an old friend and former colleague Rosie, who has premature Alzheimers. While we follow Attila on his rounds of visiting his friends and family, all of whom are in need of his aide, we witness flashbacks into his working life, his brief encounters in numerous war zones, where he was sent on missions to negotiate with hardline individuals often operating outside the law. He remembers his wife Maryse, there is deep sense of remorse. His niece Ama and her 10 year old son Tano have been forcibly evicted from their apartment in an immigration crackdown, she is unable to resolve the matter, hospitalised due to an unstable diabetic condition. Attila responds with the help of the doorman of his hotel, who alerts other hotel doormen, to be on the lookout for Tano who has disappeared amidst all the confusion. And there is Jean, in London to study the behaviour of the urban fox, she has funding for a period of time to observe them, their numbers, how they have come to be living in the city and whether they expose a risk to the humans they live alongside. She recruited a local street-cleaner and through him others, to be her field study fox spotters, the few people likely to regularly see them. These networks of connected men, the doormen, the streetcleaners and others, come together to help Jean and Attila in their search for Tano. They’ve texted his picture to each other, they know who to look for. They demonstrate something important, in their resilience and ability to adapt to this new environment, creating new support circles, many having been through traumatic experiences before finding a semblance of new life in London. The fox lives beside the human but inhabits a different time zone, most humans are little aware of their presence as their nocturnal meanderings cease the minute humanity awakens and begins to disturb a territory that belongs more to them in the small hours of the night. Jean too remembers what she has left, in America, where she tried to do a similar study on the coyote, an animal that due to the human impact on the environment had left the prairie and moved towards more urban environment. Finding herself in conflict with locals, who campaigned against the coyote, believing it to be a danger to humans, her voice silenced by those who preferred to extend hunting licences, despite her warnings that culling the coyote would result in their population multiplying not decreasing. Now a similar debate arises in London, where the Mayor wants to cull the animals and Jean’s message, based on scientific evidence is being ignored, worse it attracts the attention of internet trolls, flaming the unsubstantiated fears of residents. Ultimately the novel is about how we all adapt, humans and wild animals alike, to changing circumstances, to trauma, to the environment; that we can overcome the trauma, however we need to be aware of those who have adapted long before us, who will resist the newcomer, the propaganda within a political message. And to the possibility that the experience of trauma doesn’t have to equate to continual suffering, that our narrative does not have to be that which happened in the past, it is possible to change, to move on, to find community in another place, to rebuild, to have hope. And that is perhaps what happiness really is, a space where hope can grow, might exist, not the fulfilment of, but the idea, the expression. In an enlightening article in The Guardian, linked below, Forna describes reading Resilience, by renowned psychologist Boris Cyrulnik. Born in France in 1937, his parents were sent to concentration camps in WW2 and never returned. He survived, but his story often wasn’t believed, it didn’t fit the narrative of the time. He studied medicine and became a specialist in resilience. The most important thing to note about his work, he says, is that resilience is not a character trait: people are not born more, or less, resilient than others. As he writes: “Resilience is a mesh, not a substance. We are forced to knit ourselves, using the people and things we meet in our emotional and social environments. Note: This book was an ARC, kindly provided by the publisher (Grove Atlantic) via NetGalley. It is published March 6 in the US and 5 April in the UK. Today I saw the twitter hashtags #WorldBookDay and #WomensHistoryMonth prompting some interesting references to notable women, so I decided to look back at books I have read and reviewed here at Word by Word and show you a selection that highlight a few important women in our recent history, some you may not have heard of, all of whom have made significant contributions to our world. Click on the headings to read the reviews and share your recommendations. The first woman who came to mind and whose book I want to recommend is Wangari Maathai’s Unbowed, One Woman’s Story. Kenyan and one of a group of young African’s selected to be part of the ‘Kennedy Airlift’ , she and others were given the opportunity to gain higher education in the US and to use their education to contribute to progress in their home countries. Maathai was a scientist, an academic and an activist, passionate about sustainable development; she started the The Greenbelt Movement, a tree planting initiative, which not only helped save the land, but empowered local women to take charge of creating nurseries in their villages, thereby taking care of their own and their family’s well-being. She won the Nobel Peace Prize in 2004, which motivated this story to be written thanks to others who pushed her to share it, thankfully, for she was an extraordinary and inspirational woman, who sadly passed away from ovarian cancer in 2011. Henrietta Lacks is perhaps one of the most famous women we’d never heard of, a woman who never knew or benefited from her incredible contribution to science and humanity. A young mother in her 30’s, she was diagnosed with an aggressive form of cancer and despite being eligible for and receiving medical care at the John Hopkins hospital in Baltimore, a medical facility funded and founded to ensure equal access no matter their race, status, income or other discriminatory reason, she died soon after. Before treatment, samples of her healthy and cancerous cells were taken, part of a research initiative in search of ‘immortal cells’ that could be continuously replicated. It had never been done before, until now – the newly named HeLa cells would become one of medicine’s significant advances. Rebecca Skloot heard about the HeLa cells in biology class in 1988, became fascinated by them, she focused her research on finding out about the woman behind this important advance in medical science. This book tells her story and rightly attributes her a place in history. Vera Brittain was a university student at Oxford when World War 1 began to decimate the lives of youth, family and friends around her. It suspended her education and resulted in her volunteering as a VAD (Voluntary Aid Detachment) nurse. Initially based in a military hospital in London, events would propel her to volunteer for a foreign assignment, taking her to Malta and then close to the front line in France for the remaining years of the war. Her memoir is created from fragments of her diaries, sharing the angst and idealism of youth, and later looking back from the wisdom of middle age, for she was 40 years old before her tome was published. War changed her, she could no longer tolerate the classrooms of Oxford and the contempt of a new youth. She changed her focus from literature to history, in an effort to understand and participate in any action that might prevent humanity from making the same terrible mistakes that had caused the loss of so many lives. She became an international speaker for the League of Nations. The book was made into a dramatic film of the same name in 2014. Maya Angelou is best known for her incredible series of seven autobiographies, beginning with I Know Why the Caged Bird Sings (1969), narrating her life up to the age of 17. She became a writer after a number of varied occupations in her youth. This book was her last memoir, not one in the series, but one that could only be written from afar, from the wisdom of 80 years, when she could look back at a torturous youth, at a neglectful mother and see her with love, compassion and forgiveness. Diana Athill OBE (born 21 Dec 1917) is someone I think of as the ordinary made extraordinary. She was a fiction editor for most of her working life, forced into earning a living due to circumstance, for while her great-grandparents generation had made or married into money, her father’s generation lost it. She clearly remembers her father telling her ‘You will have to earn your living’ and that it was something almost unnatural at the time. War removed her chance at marriage and she appeared to reject it after that, revelling in her freedom and independence, though others suggest she was scarred by the intensity and pain of her first relationship. While the first part of the book focuses on her life, the second half recalls some of the relationships she developed with writers over the years, Mordecai Richler, Brian Moore, Jean Rhys, Alfred Chester, V.S.Naipul and Molly Keane. The more extraordinary era of her life was still to come, for in her 80’s she began to write memoir, and achieve notable success, her book Somewhere Towards The End won the Costa Prize for Biography in 2008. Now 100 years old, she hasn’t stopped writing yet. Have you read any good books about notable women we might remember for #WomensHistoryMonth? I had a feeling John Boyne may have put his heart and soul into this book, though I had little idea how so. The blurb is intentionally vague, we know Cyril has been adopted and that the book is about his struggle with coming to terms with his identity. The last novel of his that I read was The Boy in Striped Pyjamas, a moving story set during WW2, seen through the innocent eyes of Bruno, the eight-year-old son of the commandant at a German concentration camp. we meet 16-year-old Catherine Goggin, sitting quietly in church in a small Irish village of Goleen in County Cork, as she is about to be denounced and humiliated in front of the entire congregation, then thrown out of, not only the church, but her home and the village, for bringing shame on the community. The story is narrated through the voice of her not-yet born son, the boy that we come to know as Cyril Avery; he will be adopted and raised by Charles and Maude Avery, after Catherine travels to Dublin and takes up employment in the tea room of the Dáil Éireann (House of Representatives), where she is given a chance by the manageress, and eventually becoming that herself. The book is divided into different parts, each covering a significant chunk of Cyril’s life, initially in Ireland, then a period in Amsterdam, time in New York and finally coming back to Ireland. Cyril finds it extremely difficult within his family, his school and his culture to be himself. Through his inability to be and express himself, we see how oppressive a culture can be against anything or anyone who dares to step outside the acceptable norm, highlighting the extreme hypocrisy that therefore must exist, as humans by their very nature are not clones of each other, they are born and exist in more than just binary variations. In this first part, as Cyril is growing up, John Boyne makes something of a parody of his life, in particular in relation to his adoptive parents, who continually insist on reminding him that he is not a real Avery, and Cyril himself, so used to hearing this, will correct every person who uses the word mother or father, by inserting the word ‘adoptive’ to be sure they too understand. The first time we read this, it seems sad, but the continual repetition makes it comic, and it is a tool that Boyne uses, perhaps to soften the effect of what must have been quite a soul-searching book to write, as he reaches deep into his own life experiences to create the life of Cyril. At the age of seven, he meets Julian, the son of a lawyer who is helping his father stay out of prison for tax evasion, they will become best friends. But for all that we had, for all the luxury to which we were accustomed, we were both denied love, and this deficiency would be scorched into our future lives like an ill-considered tattoo inscribed on the buttocks after a drunken night out, leading each of us inevitably towards isolation and disaster. While the novel focuses on Cyril’s attempts to survive in a world hostile to his natural inclinations, his experiences highlight the struggle that so many people encounter, unable to live their lives openly and honestly without the fear of rejection and violence. Boyne peels back the layers of Irish inclinations and attitudes in the 20th century and shows how destructive this closed mindedness is on the lives of anyone who crosses an imaginary line of acceptable ‘being’. The contrast with how Cyril is able to live his life in the Netherlands, shown through the carefree Bastiaan, who has known no such bigotry in his life experience is revealing. It’s hard to say too much about the novel without giving away spoilers, except to say that this astonishing novel is a courageous, honest attempt to show how the way we conform to society and culture’s expectations, against our own nature’s can be so harmful to so many and it makes us wonder how life might be, if we lived in a more utopian world, where tolerance reigned supreme. Boyne admits the comic form isn’t one he’s indulged in before and he has deliberately avoided writing anything personal in his novels until now.